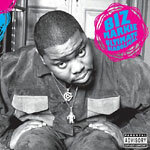 As a member of the diverse Juice Crew (which was composed of Big Daddy Kane, Kool G. Rap and Roxanne Shante) Biz Markie was kind of the oddball of the group but held his own coming up in the late 80's by combining his beatboxing skills and humorous storytelling to create some truly original material for that particular chapter in hip hop. And although he has a timeless hit with ''Just A Friend'' there was certainly more to the Biz than just that one song. Groundbreaking for his time and still highly enjoyable to listen to in the present day, Ultimate Diabolical is a collection of classic tracks and even includes six videos if you flip the disc over on its DVD format!